Brrrr, it has got a bit chilly and, I will admit, that I have struggled to find the motivation to get out and get running this month. Right now, I am very glad that I booked myself onto a couple of races for December because I need a good reason to force myself to get out in the dark and the cold and pound those streets. 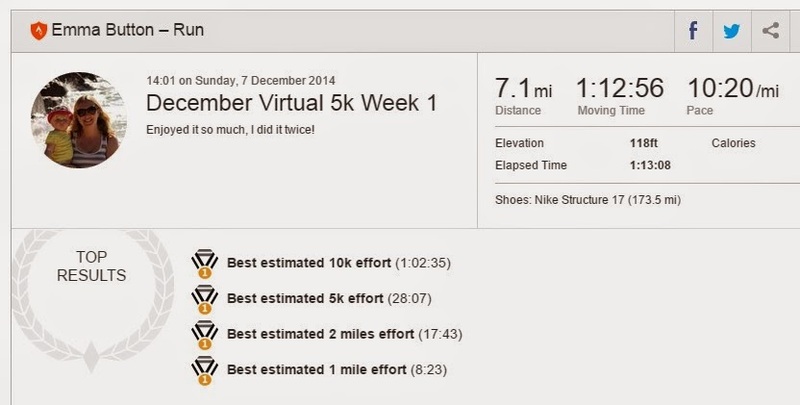 I have found that 'Virtual Races' from virtualrunneruk.com have been a great source of inspiration for me this month. I very nearly didn't register for the 4 December virtual 5km runs as I wasn't sure that it was a good use of my money but I am sooooo glad that I did. A virtual race works by allowing you to run (or walk or crawl) your race distance at a time and location that suits you. Then you go out and run your little legs off and report back with your time. Every person who completes their virtual run wins a medal and there are spot prizes on offer as well. In most cases, a portion of your race fee goes to a nominated charity. During the first week of December, I hardly got out to run at all. All of my planned runs were postponed due to work, Christmas parties or birthday lunches. By the time that it got to Sunday afternoon I couldn't escape the run any longer. I put on my shoes and focussed my mind on that 5k virtual race. I pushed hard. My head hated it and tried on many many occasions to stop me. But I stuck with it and shaved another 11 seconds of my 5k personal best. I jogged on, planning to finish a circular route home with a couple of very slow kilometres of warm-down. As I completed out the next couple of k, I realised that even if I just kept jogging at my warm down pace, I would manage a 10k personal best as well so I quickly altered my route home, added a few more kilometres to my plan and picked up the pace. 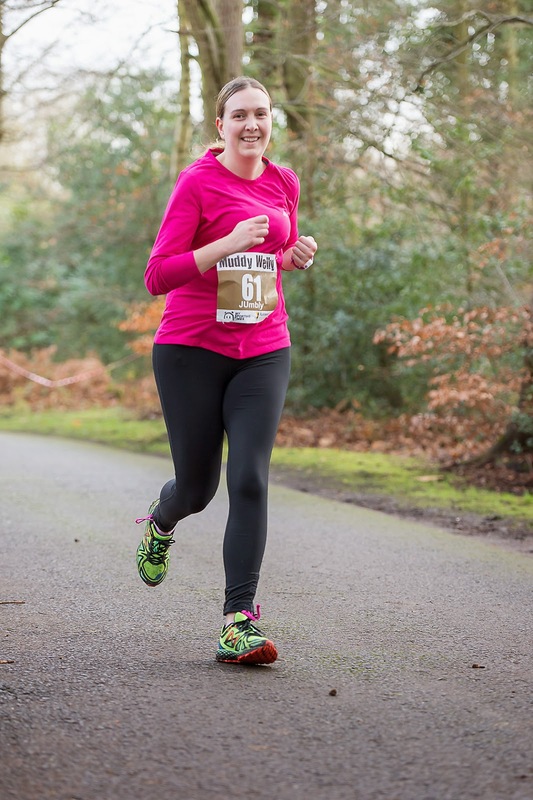 I eventually knocked two and a half minutes off my 10k PB. Whoop. Strava loved me that day. And I earned myself a festive medal as a bonus. Yesterday I completed my first real race of December - a muddy and frosty mixed-terrain route at the Muddy Welly 10k. By my Garmin's calculations it was quite a bit short of 10k but I was still REALLY pleased with my time of 1:02:49 including a storming sprint finish! All in all it was good practice for the now infamous "Gutbuster" race on the 28th December when I'm expecting it to be brrrrrrrrr freezing!